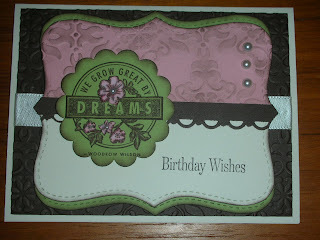 This gorgeous card was inspired by a swap card that I received at Stampin' Up! 's convention too. 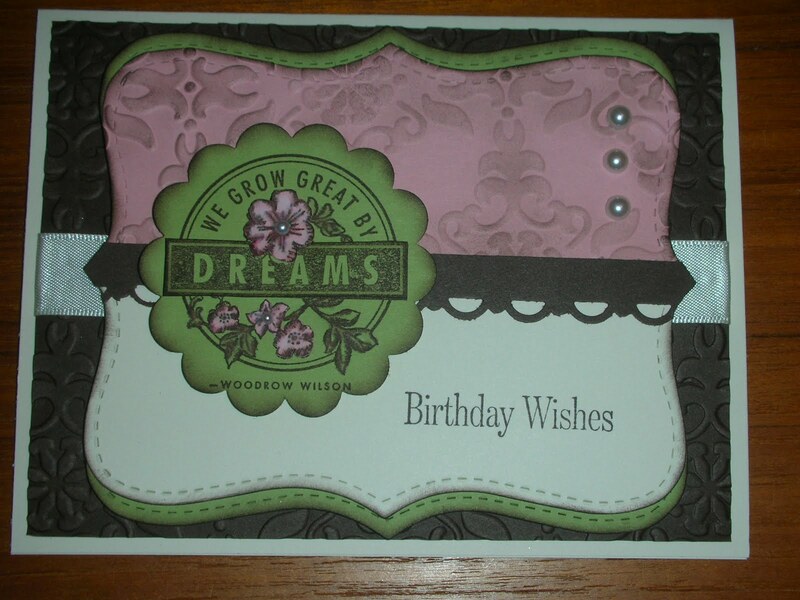 I took Tracy Altemose's basic layout and changed up the stamps. 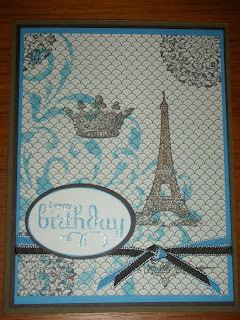 I didn't have the set that she used and found the Dreams Du Jour stamp set worked perfectly! What do you think? "We, like you, are disappointed that we cannot offer the Punch Caddies for sale. But because of our ongoing commitment to providing you with the highest quality products, we simply cannot allow this product to go live. If you have additional questions about this matter, we’ve prepared a brief Q&A for your use. Q: How do you suggest I explain to my customers that the Punch Caddy will not be available? A: The issue is straightforward. Tell them that we discovered serious quality issues with the product that could not be resolved. Rather than deliver a defective product to demonstrators and customers, we chose to halt production. As you may know, I create and donate cards to the Necessities Bags of Sacramento for mastectomy patients in the Sacramento area. I try to donate about 100 cards every couple of months. 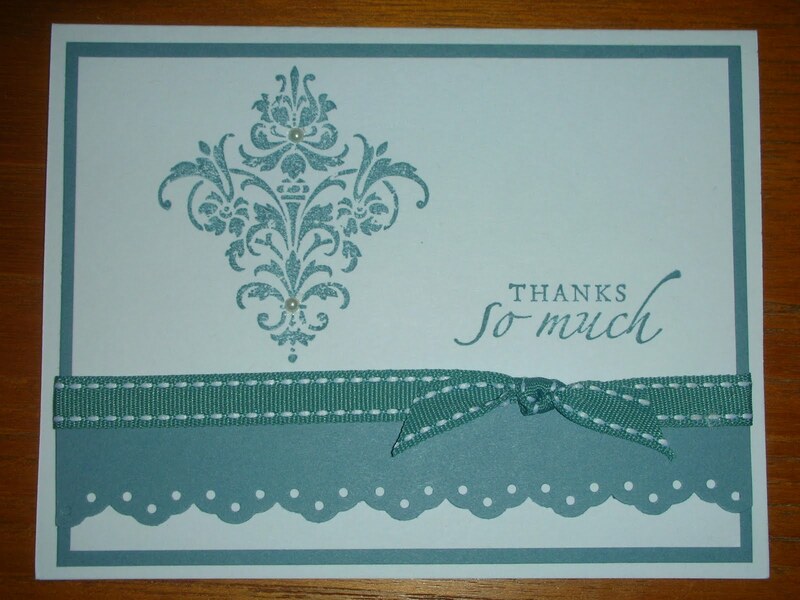 Going to convention last month has helped because I was able to get so much inspiration from others' card swaps. 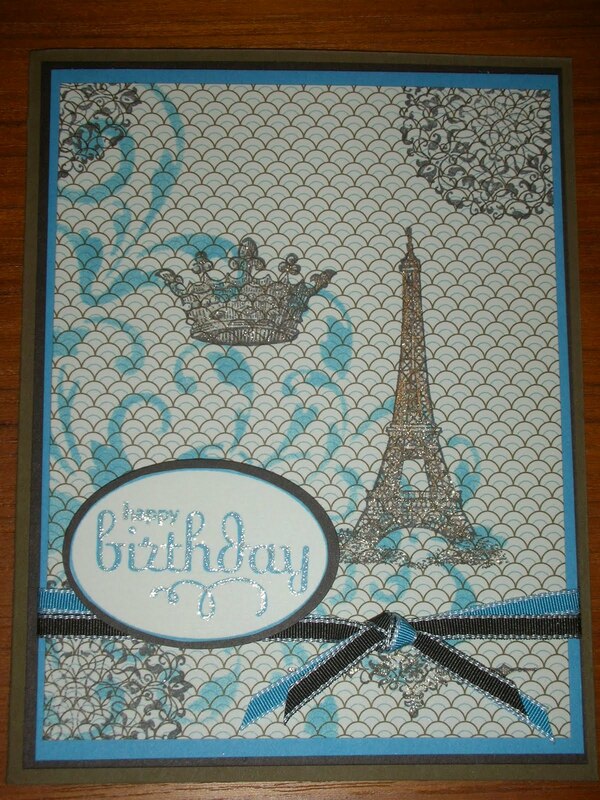 This is a card that I made using the retired Buckaroo Blue paper & ink with the Friends 24/7 stamp set. 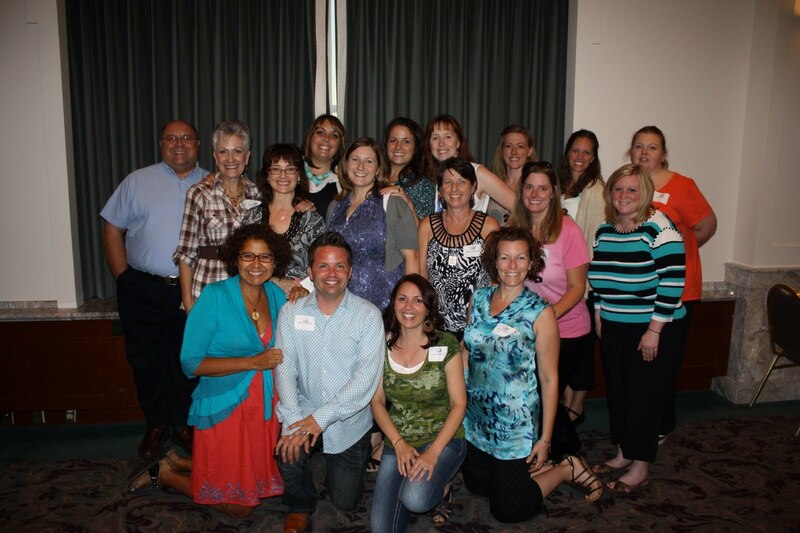 Thank you Chris Greten for the inspiration! 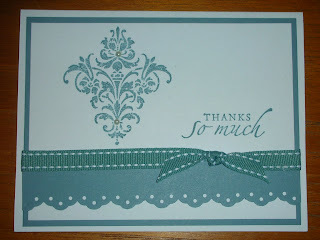 Perhaps one of my cards on this blog will inspire you. If so, please let me know. This picture is from the Legacy Room at Stampin' Up! 's home office in Riverton, Utah. It is so hard to believe that everything is made from paper! The designers are just so clever. 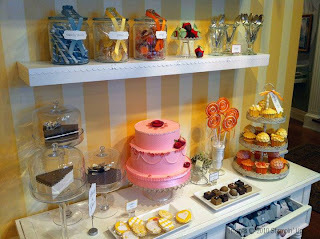 Don't you just want to eat all of it?